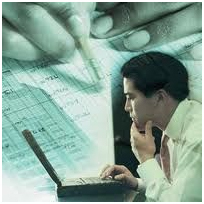 Chartered Accountants were the first accountants to form to professional body. This title was first established in Britain in the year 1854. This title is an internationally recognized professional designation. A Chartered Accountant is the person who specializes in the fields of audit, taxation and mainly accounting. Many a times he acts as management and corporate caretaker. This professional has taken its peak importance in the industry. Be it big MNCs or small scale companies and businesses a Chartered Accountant is mostly compulsorily required to manage the company's money matters.